"One the the most sensible, easy to follow programs I have ever followed!" "Brilliant, caring, kind, and welcoming doctors!" "No gimmick, no special foods, no pills. Straight up nutrition done right." 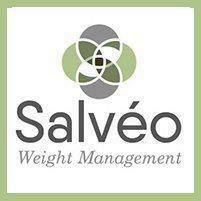 Salvéo Weight Management in Voorhees Township, New Jersey, was co-founded by Drs. Amy Articolo and Suzanne Mackey to help, treat and provide a supportive environment for their patients in their weight loss journey. They are passionate about their mission and their patients. They believe in the value of open and honest communication, creating a warm and welcoming environment. They take the time to listen. Both Drs. Mackey and Articolo are members of the Obesity Medicine Association and are diplomats of the American Board of Obesity Medicine. They’re active in the Obesity Action Coalition, Obesity Treatment Foundation, as well as The Obesity Society, all of which strive to enhance obesity research and educate the public and government agencies about the risks of the obesity epidemic. Drs. Mackey and Articolo are passionate about their commitment to providing scientifically sound medical treatment that assists their patients to achieve healthy weight loss. They treat obesity as a disease and remove the shame and guilt that some patients may feel. They anticipate and provide honest communication and service for their patients. Drs. Mackey and Articolo follow their society’s principles of excellence. Their treatment plans are individualized. They realize that each person is unique, and therefore, the treatment plan should be tailored to meet those needs. Salvéo Weight Management works with most major insurances. If you have any questions, feel free to call our office and one of our knowledgeable staff members will be happy to help. "Two fantastic physicians, they have given me my life back and have saved my life at the same time. I am forever indebted to this practice." "These women are some of the smartest and most caring doctors I have had the privilege of working with. I rest easy in their capable hands..."